“an area with a high biological, sanitary, physical, technical and naturalistic content with the aim of preserving the health and wellness of the workers and individuals belonging to the population, reducing the health risks caused by ionising radiation during the course of human activities, which are justified by the benefits to the society and its members. Based on its objective, it also aims to protect the environment” (loosely based on ‘Lezioni elementari di radioprotezione’, C. Polvani). The main interest lies in the invisible physical phenomenon, which surrounds us every day in the most diverse ways: radiation. Generally, in physics, the term radiation is used to describe various phenomena. Radio transmission, visible light, infra-red rays, X-rays from x-ray equipment, etc, are all, in fact, physical phenomena caused by radiation. this travels through space at the speed of light and does not have its own physical entity. Based on the energy level and wavelength, this type of radiation is classified as electric, radio, infra-red, visible light and X-ray. 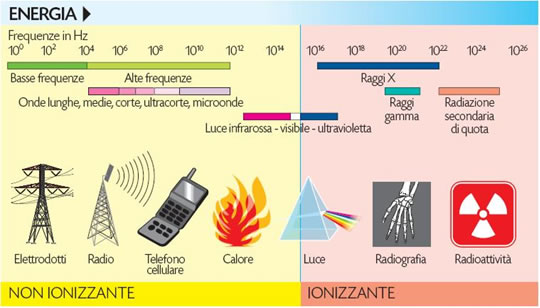 Electromagnetic radiation is, in turn, classified as: ionising radiation (X and gamma rays) and non-ionising radiation. The basic difference between these two categories is the capacity, or not, through secondary effects (i.e. ionising, in technical terms), to energise the atoms of the matter that the radiation beam strikes and passes through. The phenomenon is caused by energy exchanges between the radiation (charged) and the elementary parts of the matter (less charged). The overall effect is that the matter is energised by making the electrons jump from one energy level to the next, or even leave the orbit surrounding the nucleus. this is comprised of sub-atomic particles (electrons, positrons, atomic nuclei, neutrons) which travel close to the speed of light. This type of radiation also has ionising capacities on matter. 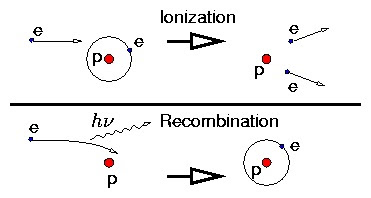 Nonetheless, in this case, the electrons are essentially energised by direct collisions between corpuscular matter and atoms. LET (the law of linear energy transfer) is known as the parameter that assesses the capacity of radiation to penetrate matter. In fact, this parameter expresses the relationship between the power of the radiation and the distance it travels. 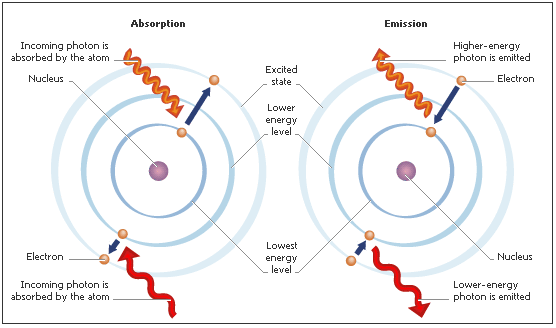 Ionising radiation power is expressed in electron volts [eV].